Home / Unlabelled / Jada , Atiku's Birth Place Was Part Of Northern Cameroon . Jada , Atiku's Birth Place Was Part Of Northern Cameroon . Atiku Abubakar is from Jada town in Adamawa State of Nigeria. However, Jada used to be in Ganye Local Government Area in Adamawa. Ganye is regarded as the mother of the whole Chamba tribe. This area was never part of Nigeria legally until the February 1961 plebiscite where the people of the then Northern Cameroon voted to join Nigeria. The area had been entrusted to Britain by a League of Nations mandate in 1919 and later as Trust Territory by the United Nations in 1946, according to an article published on Myculturebase. A plebiscite was held in British Cameroons to determine whether the people preferred to stay in Cameroon or align with Nigeria. While Northern Cameroon preferred a union with Nigeria, Southern Cameroon chose alignment with the mother country. On June 1, 1961, Northern Cameroon became part of Nigeria, and on October 1, 1961, the southern territory dissolved into Cameroon. Ganye, which incorporates Atiku’s birthplace of Jada was the headquarters of British Cameroons, but following the plebiscite, joined Nigeria. 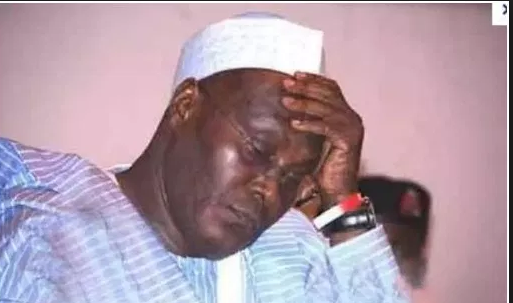 Though Mr Kanu is correct about the historical origin of Atiku’s Jada, it is, however, instructive to note that when Mr Abubakar was on November 25, 1946 born to a Fulani trader and farmer Garba Abubakar, Jada village and other parts of Chamba land in the then Northern Cameroon were still known as British Cameroons. With the defeat of Germany in World War I, Kamerun became a League of Nations mandate territory and was split into French Cameroons and British Cameroons in 1919. While France integrated the economy of their part of Cameroon with that of France, the British administered theirs from neighbouring Nigeria, making Atiku’s Jada a British franchise. Aside from these historical twists, the fact, however, remains that the PDP presidential candidate is legally a Nigerian as Jada became a full Nigerian territory after the plebiscite 59 years ago.